Coupon Code: ROASM10 to save 10% off any subscription. 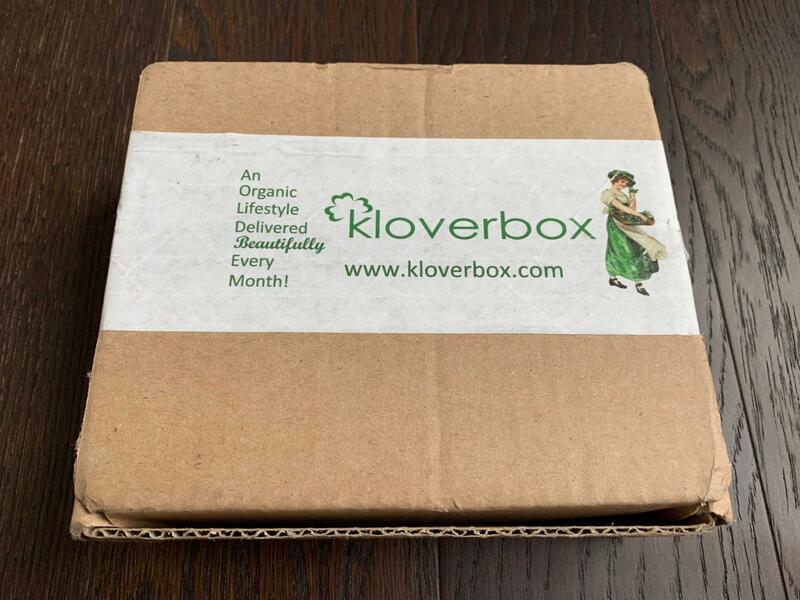 Kloverbox ships via USPS Priority Mail – generally between the 15th and 18th of the month. 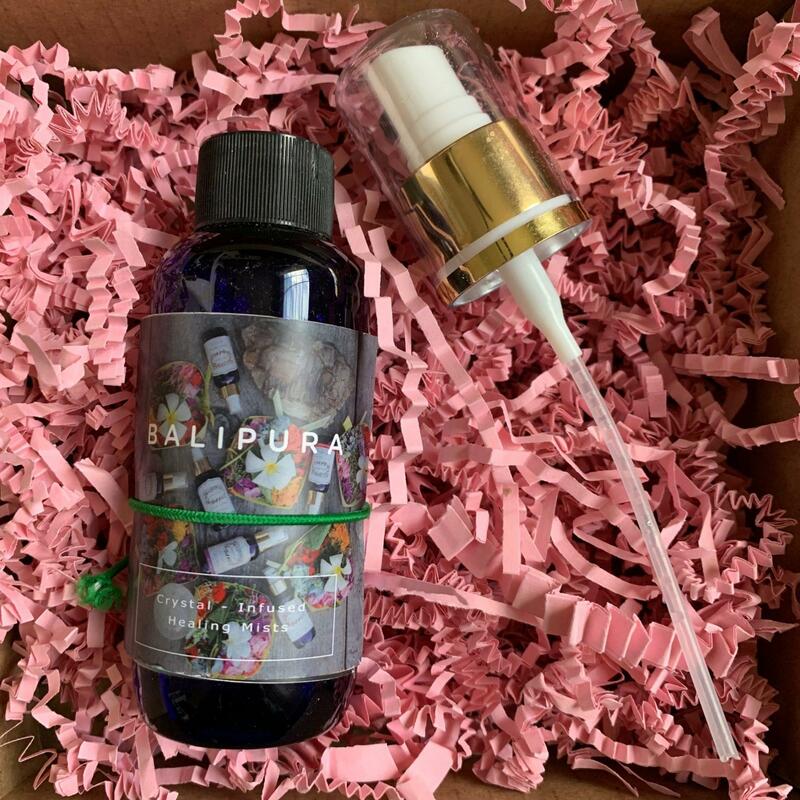 ~Balipura Pure Love ($25): Pure Love is an auric spray that enhances unconditional love, compassion, understanding and harmony. It aids in opening and harmonising the heart chakra. It has a nice light scent and can be used as a room or body spray. 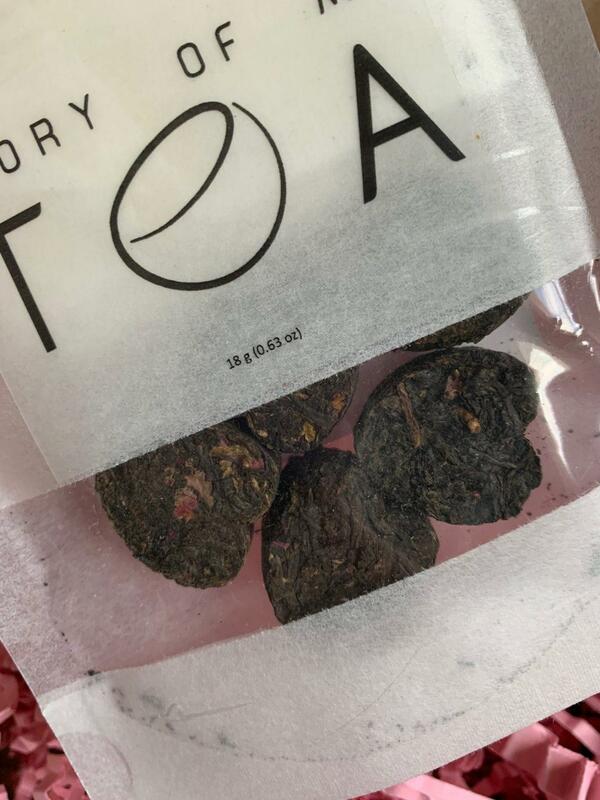 ~Story of My Tea Rose Heart Teas with filters ($5.70): Hopefully you can tell by the picture, but these are actually heart shaped. 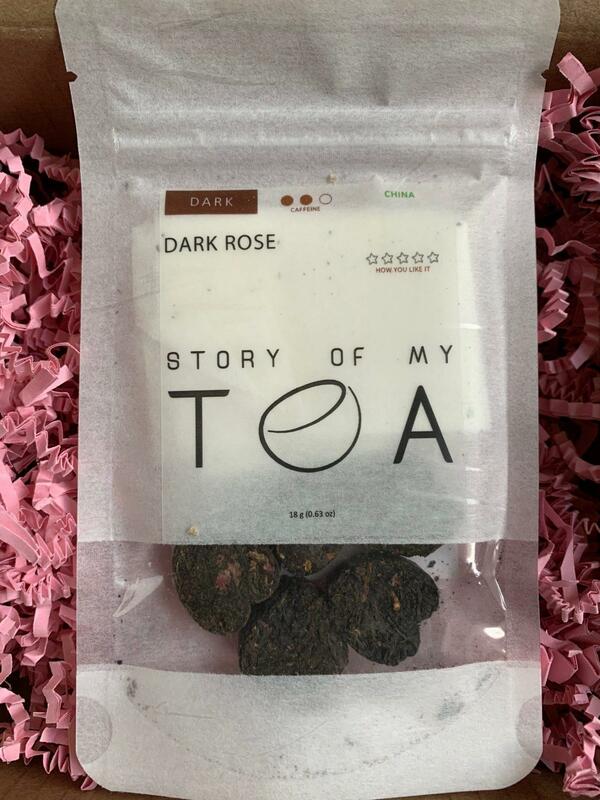 The tea is a Dark Rose which is made by blending dark tea from Anhua, Huanan with roses from Shandong (famous for its roses). 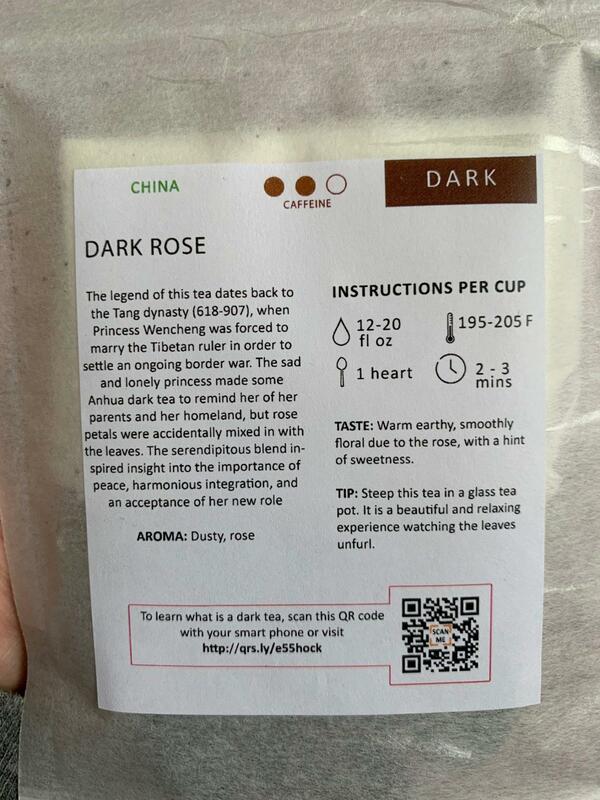 One of these days I am going to learn to love tea! 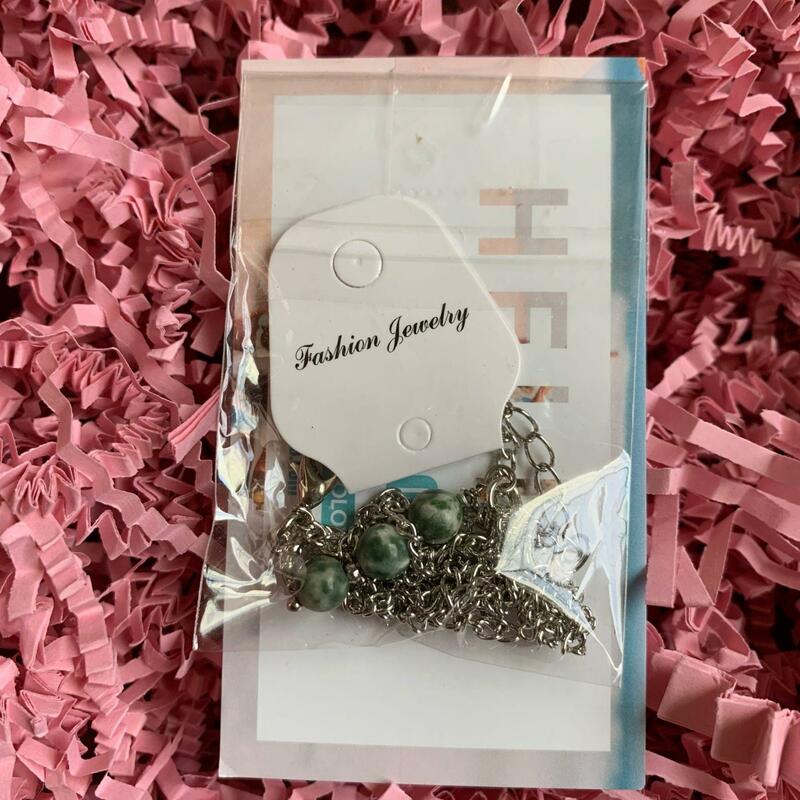 ~Kanio Necklace (One of Three) (Grove Necklace) ($36): This months Kloverbox included one of three necklaces. I received the Grove Necklace, which is represents Trustworthiness, Fidelity and Inspiring Love. All three stones are 100% genuine Qinghai Green Jade. 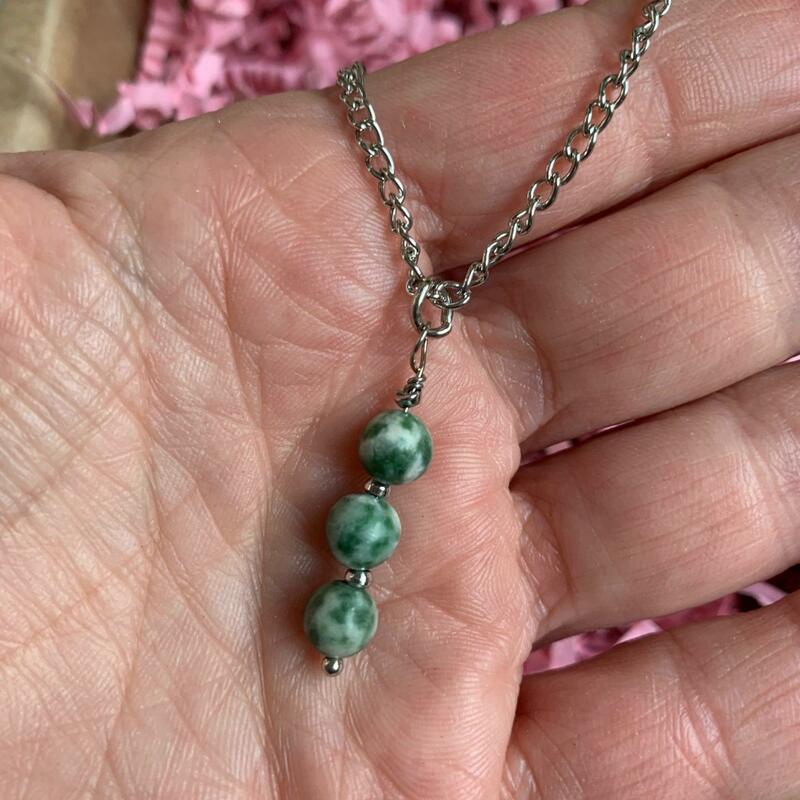 Jade is an increasing trustworthiness and fidelity, as well as also inspiring love later in life. The necklace is gorgeous and I personally love this one most of the three options. 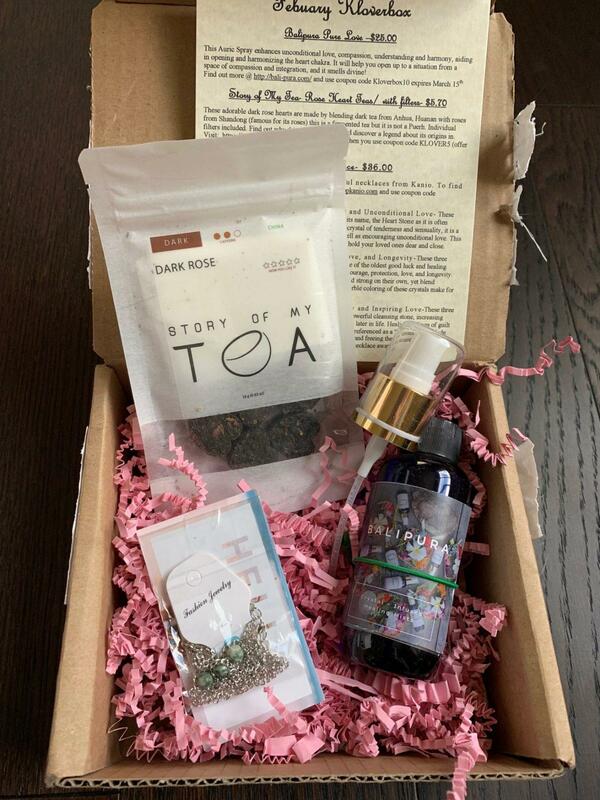 All totaled the February 2019 Kloverbox had a value of nearly $65. 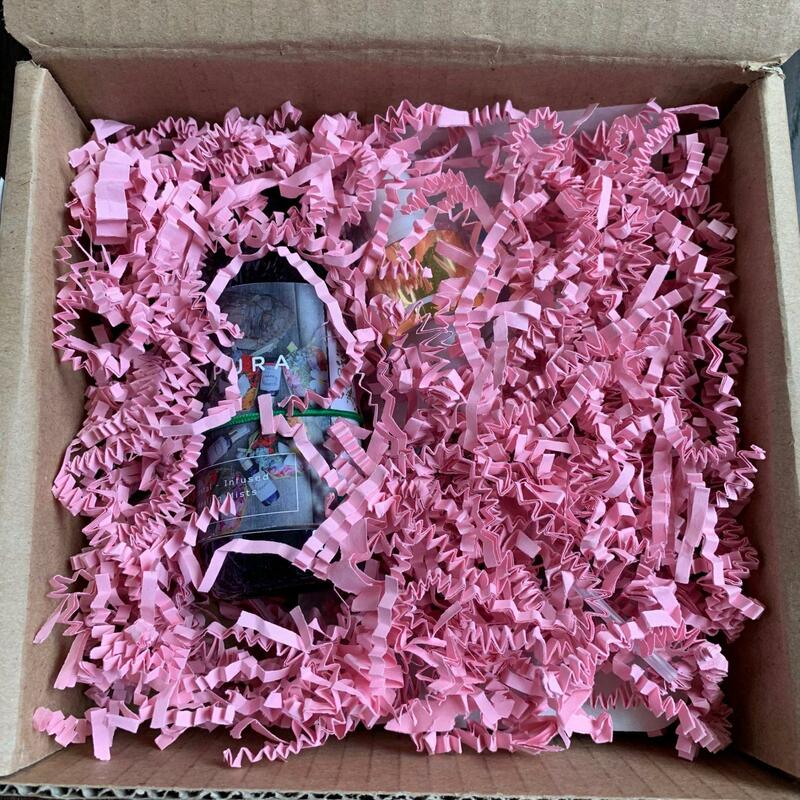 A great value and a very well-rounded box! 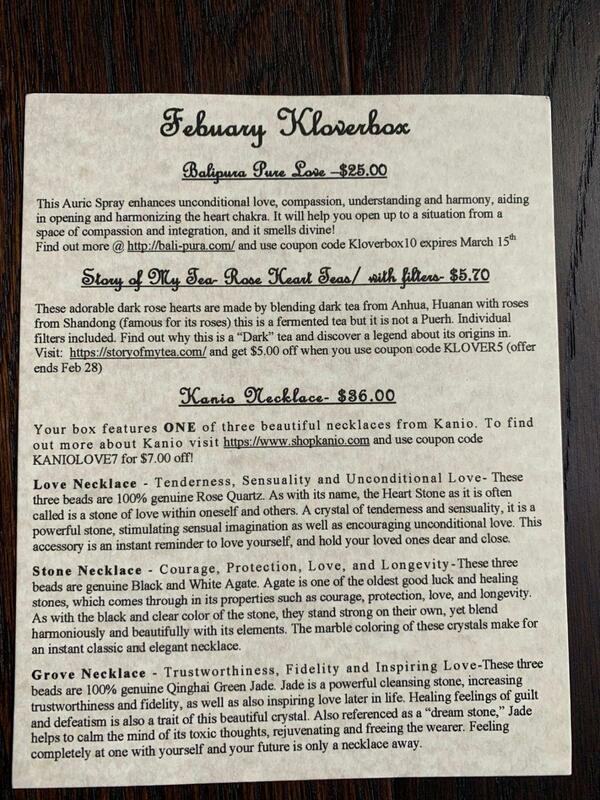 What do you think of Kloverbox? If you are interested in ordering, use coupon code “ROASM10” to save 10% off your first month.